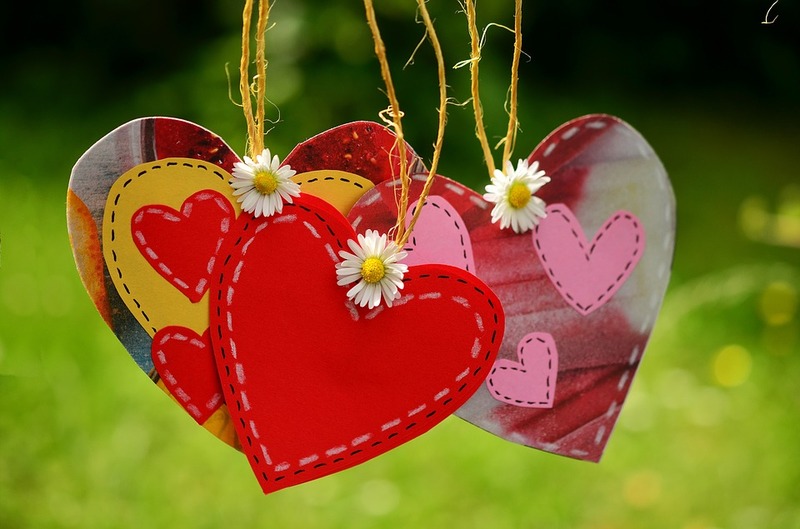 Valentine’s Day is the most romantic day of the year – it’s a day of celebrating love! So, it comes as no surprise that it’s one of the most popular days to pop the question, closely following the magical day of Christmas Eve. But what about making the most romantic day of the year extra romantic by getting married on the 14th February? What better day to tie the knot to your not-so-secret admirer than this day of love? If you and your partner are hopeless romantics, you’ll love the fact that absolutely nothing can be too cheesy if your wedding date is this well-known day of the year. 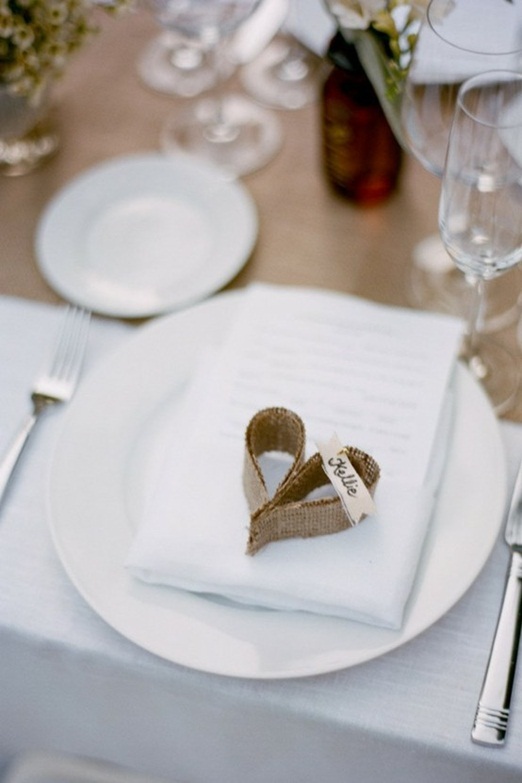 You can embrace the romantic festivities by incorporating it into every aspect of your wedding. Stuck for ideas? Don’t worry – here’s some inspiration for your Valentine’s Day or romantic-themed wedding day. Something old, something new, something borrowed, something… red? Valentine’s Day is traditionally associated with the colours of love: red and pink. With so many shades of each colour, you can really play around with the colour scheme on your big day. Set the scene early on with your save-the-dates and invites by taking on the romantic theme, and follow it right through to end of the day itself with the dessert table and the dancefloor lights. But don’t feel you need to stick to the traditional; a popular choice with newlyweds at any time of the year is to opt for a monochrome theme with hints of colour. This could be considered a more subtle way to get the theme across – it just depends on what you’re looking for. Reds and pinks make a fabulous colour contrast to the basic black and white colours, making for a really modern look for your wedding décor. One wedding trend that doesn’t look like it’s going to die down anytime soon is the mismatched bridesmaids look. If you’re looking to go with a more subtle look for your bridesmaids on your Valentine’s day wedding celebrations, the mismatched bridesmaid trend could be the answer! Vary each of your bridesmaid’s looks with different dresses in different shades, tones and colours of red and pink. Flowers, flowers, everywhere! You can’t have a Valentine’s Day-themed bash without them. Roses are the traditional symbol of love, but that shouldn’t stop you from branching out and using other flower types too for your bouquets, floral decorations and table displays. You can create a contrast using different colours from simple white carnations to colour-popping gerberas – not to mention non-floral elements too, like beading, pearls or handmade accessories. When it comes to your wedding flowers, you should always plan ahead. This is particularly true if you’re planning a Valentine’s Day celebration. Why? Because Valentine’s Day is the busiest day of the year for florists all over. With the inevitability of your florist having an abundance of orders due for that day, you want to make sure you get yours sorted. It’s Valentine’s Day, so you’re allowed to go all out on the heart-shaped decorations with absolutely no judgement. Get balloons, wreaths, fun lighting, flower displays, table decorations and anything else you can think of to decorate your ceremony and reception venue to match your colour scheme and it will all fit in nicely. What about making the notorious wedding moment of the confetti throw extra special for Valentine’s Day by opting for heart-shaped confetti? This way you’re getting your theme down to a T, and will no doubt have some great photographs for the wedding album too. You can sprinkle leftover confetti over your tables too, amongst your heart-shaped or Valentine’s inspired wedding favours perhaps? Choosing the table names always gives engaged couples a chance to get creative, and a chance to show off a bit of their personalities too. Planning a Valentine’s Day wedding means that you are probably both romantics, so why not name your tables after romantic memories you share? Think about all the holidays you’ve been on since you’ve been together, your favourite love songs or love poems, or your favourite romantic novels. Don’t forget your wedding food and drink! From the drinks at the reception to the three-course meal or buffet, you can draw back Cupid’s arrow hit the food and drinks table with some love. Consider a signature cocktail for your big day; equipped with red garnishes like strawberries, raspberries and cherries, those cocktails will be loved by all your wedding guests. You can even keep it simple by sticking to Prosecco, but just add a bit of crème de cassis in for a pop of colour. 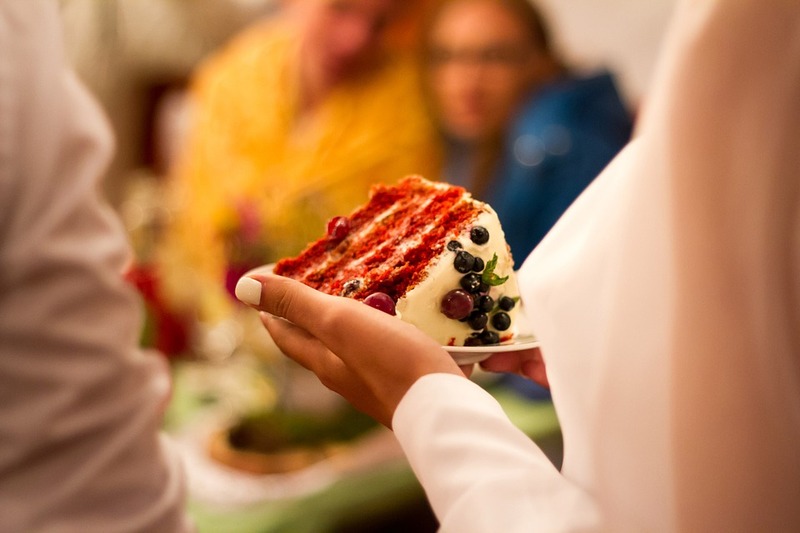 You might have experienced a fair few Valentine’s Day bake sales and baked goods in your lifetime, but you will undoubtedly want to put more into your wedding cake. Whether you’re hired a professional or going for a DIY wedding cake, there are so many ways to bring in the romantic theme. From simple ideas like a solid white cake covered in strawberries to an extravagant four-tiered red velvet cake, you can make something really beautiful… and really delicious! All wedding music has a tendency to be romantic or about love, from the traditional and modern hymns during your ceremony to the reception drinks and the first dance. Choosing your wedding music requires a lot of consideration from you as the couple getting married. It sets the mood and atmosphere of the event from beginning to end, and puts a bit of personality into it as well, making it extra special for you and your guests. Have a look through the repertoire section on my site; here you’ll find some of the most popular tunes for wedding playlists, or even your first dance. If you’re not sure on hymns, I’ve got a handy guide to wedding hymns to help you make your mind up. One lovely idea for your special day is to ask your guests to let you know their favourite love songs prior to your big day. You can do this using your RSVPs. As the responses come in, you can build up a playlist of love songs, with each song having some sort of meaning for your guests. It could be the song they had at their wedding for their first dance, or just a song that brings them back to a romantic event or memory they have. Along with your wedding album, a guestbook offers you something tangible to take away from your special day. Get each of your wedding guests to write their well-wishes for you and your newlywed in the form of love letters, quotes or rhymes. It’ll make a fantastic memory of your wedding day, and be great to read through for all the anniversaries (and Valentine’s Days) to come. It’ll be a Valentine’s you’re sure never to forget.